Sometimes a customer might have a problem they need to overcome. This might mean making a one off bespoke steel fabrication item. At Lotinga, if what you need can be fabricated to make your life easier, we will do it. A staff member had a particular problem. Due to a combination of living in the country and owning dogs, wet weather was an issue. With copious amounts of mud around, the dogs would get filthy. This meant washing them off when they got home, which was a back breaking ordeal. Keeping the dog still, soaping them up, hosing them down and then drying them off; all the while bending over to do it. What was wanted was something which would be easy for the dog to climb onto, meaning no lifting was required. Drainage of water had to happen easily; the height had to be right for the owner and, also, there had to be an area to clip the dog to. In addition, stablity was essential but also to be able to gain access all around the animal was important to. 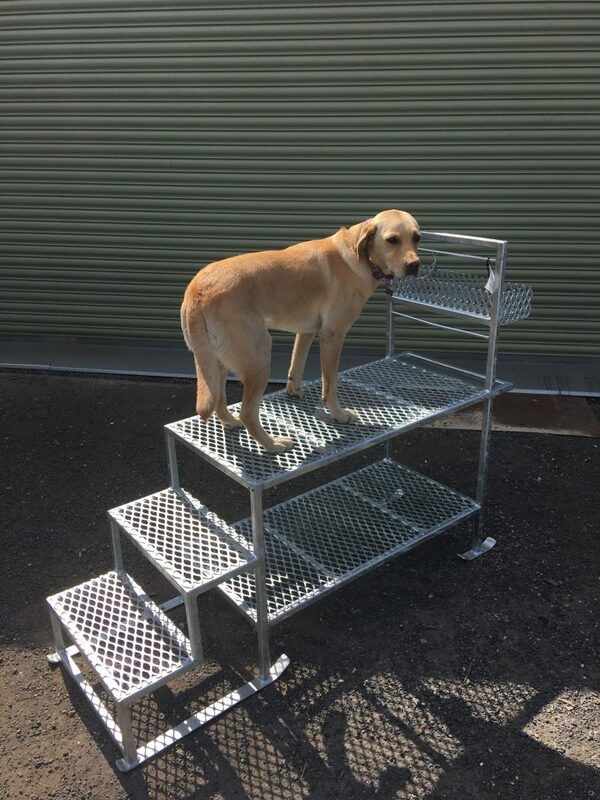 Using their bespoke steel fabrication skills, our engineers came up with this dog grooming bench. 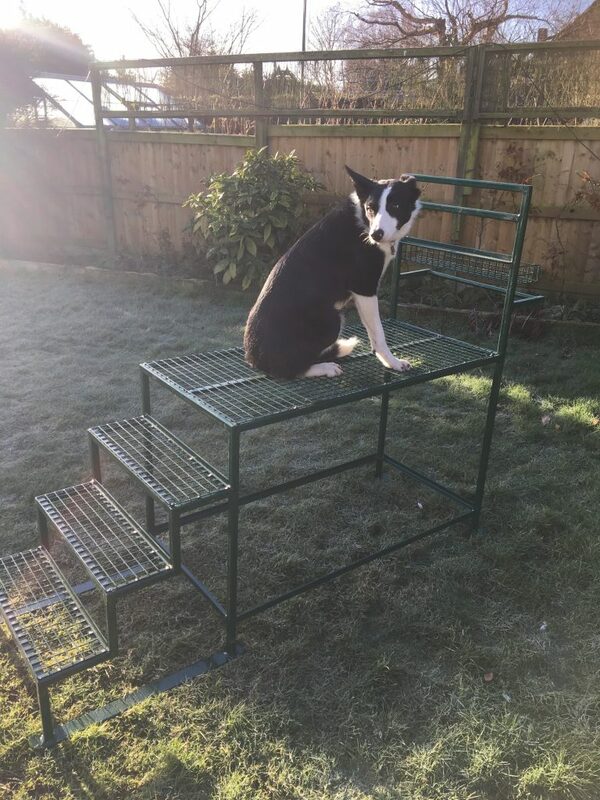 The bench is easy for the dog to climb up on, is at the right height for the owner and water runs through the mesh. In addition, there is an area for clipping the dog on and there is also a basket to keep cleaning products in. Furthermore, added to the bottom are ski like feet so it can be slid around. We felt these would be better than wheels which might move around if the dog moved. Two prototypes have been made; one in a galvanised finish and the other in a green powder coated finish, both of which will protect the steel from rusting quickly. 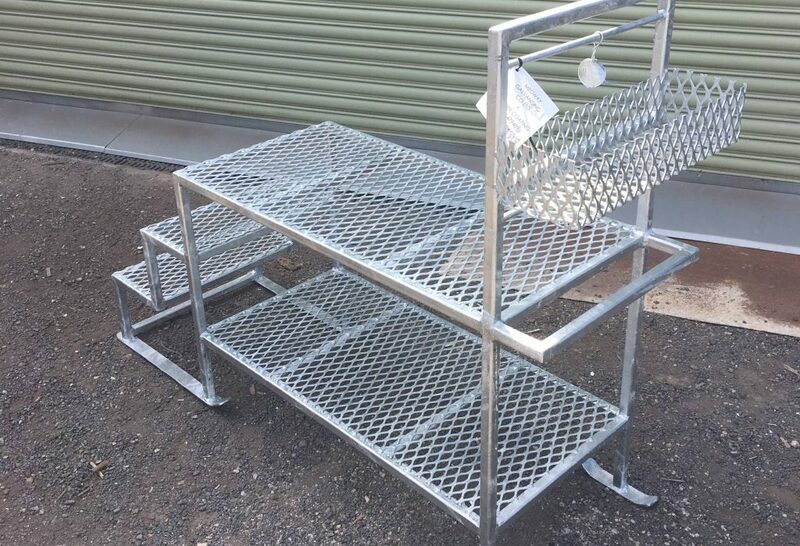 If this bespoke item is of interest to you or you have a different issue you think we could help you find a solution for, please contact us or fill out our quotation request form.